Looking for something to do? Finding your fun is so easy by checking out the events calendar. Have the fun delivered right to your email by signing up for the monthly “Find your Fun” emailer. Have an event that you would like listed? Click the “submit your event” button and complete the form. Include a photo whenever possible. Listing your event is free for our partners and non-profit organizations. Not a partner but have an event that is tourism related? Please send an email to info@visitluzernecounty.com. All events will be reviewed and listings are at the discretion of the bureau. In the last thirty years the landscape of contemporary Chinese art has changed greatly as artists have experimented with new media and forms of expression. American audiences have had few opportunities to see these works first-hand outside of major metropolitan museums. 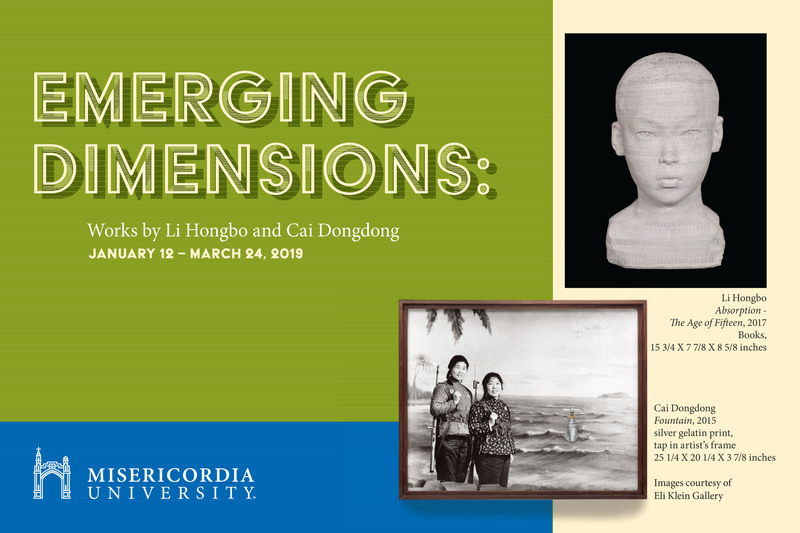 Misericordia University, in partnership with Eli Klein Gallery in New York, is proud to present new contemporary Chinese art in "Emerging Dimensions: Works by Li Hongbo and Cai Dongdong." The Gallery will hold live demonstrations Li Hongbo’s sculptures every Friday at 10 a.m., 12 noon, and 2 p.m. Gallery staff will lift part of the sculpture and stretch it across the gallery and then return the paper sculpture it to its original state. To request a tour or demonstration at other times please contact Lalaine Little, Gallery Director, at (570) 674-6250.